Why do I like Reading? Let’s go back to the basics. The very fundamentals, the building blocks, whatever you want to call them. But the truth is- this is a book blog and the very first thing you learn in connection with books is how to read them. Why do I like reading? It’s a good question, and just like all good questions- it’s a hard one to answer. My parents think that people praised me for reading and I got addicted to the praise and started connecting the praise to the reading in some sort of demented Pavlov’s experiment like relationship. But I like to think my love for reading was born out of something less shallow than a desire to be praised. Or even if it was born out of that shallow desire, it’s evolved into something more mature and less laugh-provoking. I started reading at age 3 and I started with really simple stuff. Stuff like ‘Pat has a bat.’ Four words. A simple sentence but it evokes a whole picture in your mind, doesn’t it? For me, it evokes the picture of a little blonde girl with her hair in pigtails and bent knees preparing to swing an aluminium baseball bat, but you might automatically think of a tall gothic lady with fangs, wearing a blood-red strapless gown with a pet bat perched on her shoulder. What I’m trying to say is reading gives you control over a world. From the tiniest description, you are able to mold and shape something that you would have never been able to imagine before. And when you read a lot, you can piece together everything you’ve read to create a marvelous new world of your own. And contrary to what some people think (you know who you are) reading does not immerse you in a quagmire of fantasy where you have no idea how to differentiate between what is real and what is unreal. On the contrary, I’d say that reading gives you a wider persepective and allows you to see reality from more angles than one. Reading is a window into another world, into lives and manifestations of it you never knew existed. I don’t know what it’s like to be poor. I don’t know what it’s like to be French. Or to be gay. But by reading I have a better idea of what it would be like to be poor or French or gay than someone else who doesn’t read. I can empathize with them, I have a better insight into their ambitions, their psychology and their dreams than I did before. I know just how similar they are to me and how they are different. I never saw the bloodthirsty violence of an oppressed public during the French Revolution. I never had to deal with the cunning, scheming intrigue of the Ton. I never endured the harsh, gritty life of miners looking for gold in California in 1949. Only wait! I have. Not first-hand, but I have seen it second-hand. Reading makes me smarter. It gives me a better understanding of the world. It’s fun. What’s not to love? Reading doesn’t just help me disappear into a whole new world, it helps me find things. It’s an easy way to find out about other people’s dreams, hopes, ambitions and fears. Reading isn’t a choice. It’s a lifestyle. As soon as I read the blurb, I knew I was going to have a ‘bad’ protagonist with tons of sass and attitude. Have I mentioned that they are my favourite type of books? I usually love books with angels and demons…especially when they don’t get too religious. So, it kind of felt like Eliza Crewe wrote the book with me in mind. I enjoyed the new take on the Crusaders;instead of ancient knights searching for the holy grail to protect it, they search and protect something just as rare- noble individuals. When Meda accidently runs into a group of full demons and is saved by the crusaders, who mistake her for a Beacon (a noble individual) she goes along with it in the interests of self preservation and for information. Hilarity ensues as Meda tries to keep her cover (yep, unfortunately that means no soul-sucking) and her life and figure out what the hell Hell wants with her. Meda is the reason that this book works. She’s so bad that she’s great. We meet her as she’s in the middle of a meal. For her, that means the soul of some depraved individual. At times, she can be sadistic, manipulative and annoyingly egocentric. She is always shamelesy self-centred, downright rude, and all kinds of dark and witty. She is the body-ripping, soul-eating main character that I never knew I wanted. Death is my art form–when I fight, I’m a ballerina. Graceful. Chi lacks my grace, but makes up for it in energy and enthusiasm. His fighting style is like breakdancing–strong and frenetic with some really sweet moves. Jo’s is . . .the Macarena. Ugly but gets the job done. Jo and Meda have a rocky relationship at first.This may or may not be due to the fact that Jo distrusts Meda. Of course Meda purposely tries to antogonize Jo by flirting with her not-yet-a-boyfriend.With her snarls and threats, it’s impossible not to love Jo. Even though Jo is as thoroughly good as Meda is bad, both are equally cynical and jaded. She (and everyone else around her) sees herself as an invalid but despite her disability she is still one tough chick. After reading this book, the world Doctor will have a whole new meaning for you. Chi is not-Jo’s-boyfriend. He has a great sense of humor and loves playing the knight in shining armor role. Meda finds it very easy to manipulate his desire to protect the weak by portraying herself as weak. But despite his naivete where Meda is concerened, he is a genuinely likable and three-dimensional character. Um… no romance. Not really. Sure, Meda flirts with Chi but that’s more to annoy Jo than anything else. And of course there’s the hot half-demon, half-human demon spawn but he makes an appearance for,like, eight pages. But this book is so good it doesn’t need romance. Or maybe it’s good because of the lack of romance. I think I’d lose a lot of respect for Meda if she started following some guy around like a good little puppy. Ew, no i can’t even imagine that. Cliffhangers and Death. 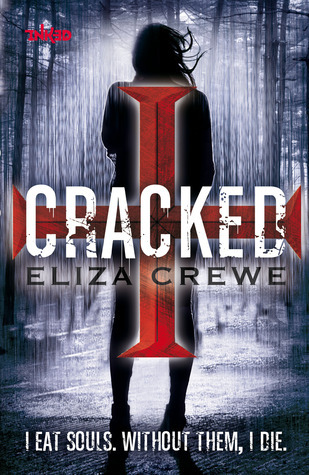 If you somehow missed the message that Eliza Crewe was an evil genius, you’d get it as soon as you finished the book. You have no idea how desperate to read the next book, Crushed. 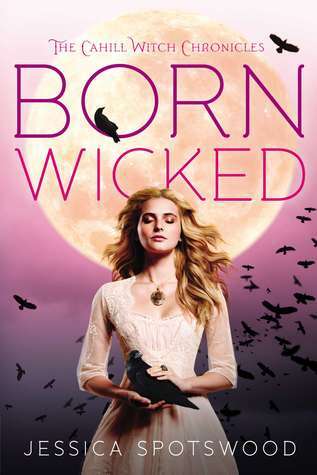 I’m still a bit surpirsed that Meda managed to keep her cover for that long ( I mean hello, her attitude was way obvious) but the balance between good and evil was perfect in this book (unlike most other books about demons). And the world built was mega-interesting. There were plot twists but they actually made sense. So 4.5/5 for the Plotholes in this book. Consider me awed. By the world, by the characters, by the plot and by Eliza Crewe. I am surprised this book isn’t more famous. So go ahead and read it and help this book become a little more famous. But yeah there’s quite a bit of cussing in this book. If you aren’t fine with that, I wouldn’t recommend this book to you. Um…yeah. You read that right. This post is going to be about book dedications or acknowledgements. Whatever you want to call them. Usually I don’t pay much attention to the book dedications. I mean, if I’m opening a book I’m interested in the story and the characters. Not who the author loves and how they helped them come up with book, etc. But there are some dedications which caught my eye. Here’s a list. 1.) Abundance of Katherines by John Green. I may not like the guy’s books but even I have to say An Abundance of Katherines is pretty cute. The main character is a guy who really loves anagrams (and constantly uses them), so that makes this dedication prettycool in context. This isn’t from a single book but from a series which I haven’t actually read but I’m including this because I can kind of relate to this; my Dad definitely doesn’t read fiction- if, no when, I publish a book, he probably wouldn’t read it. Plus the dedication’s completely hilarious. “This Book is dedicated to my father Joseph Hill Evans with love. “This is still dedicated to you-know-who, even if he doesn’t. “My father still hasn’t actually cracked any of the books – so, no, he still hasn’t noticed. I think I’m just going to have to tell him. Maybe I should break it to him gently. So because technically I cheated by adding a series that I’ve never read, I’m addign this one too. So these are my favorite dedications. What are yours? Other than a semblance of literacy (and obviously a book), what do you need most for reading? Duh! You need recommendations and a bunch of people to discuss the books with . And in my humble opinion, Goodreads is THE best website ever for recommendations and discussions. Goodreads gives surprisingly accurate recommendations. Out of my top 10 favourite books, I think 9 out of 10 were recommended to me by goodreads (either with goodreads as first recommender or a secondary recommender). I have no idea what algorithm they’re using, but whatever it is- they should keep it. One unique and fun thing that Goodreads has is Listopia. Users can make different lists for books of a certain type (people have made lists for stuff as wide as genres like ‘YA’ and as narrow as ‘YA books with covers with purple on them’). After an initial list is made, other users can add and vote for books which fit into the category. This is pretty helpful when you’re just itching for a long marathon of say- ‘Urban Fantasy’ or ‘Hate at First Sight’ books. However this does come with it’s limitations. Some trigger happy people (I’m not pointing fingers) randomly add books like the Twilight and the Hunger Games into lists regardless of whether it fits into the category or not. If you’re one of those people, please- don’t do that. Do verify whether the book you’re adding to the list matches. The Discussion Boards for some books are very informational and can get you a whole new perspective on a character or on the events of the story. I think one of the most informational threads I’ve ever participated in was one for the book Between Shades of Grey by Ruta Septys. Giveaways: This is one thing about goodreads that really disappoints me. But that’s probably just because I’ve never gotten anything. A warning from the wise (or at least someone who’s pretending to be wise): There are a lot of people who enter the giveaways and the criterion for selecting winners is very random. It doesn’t hurt to enter a draw, but it’s highly unlikely you’re going to win anything. Wow! You have no idea how many times I have been inspired.